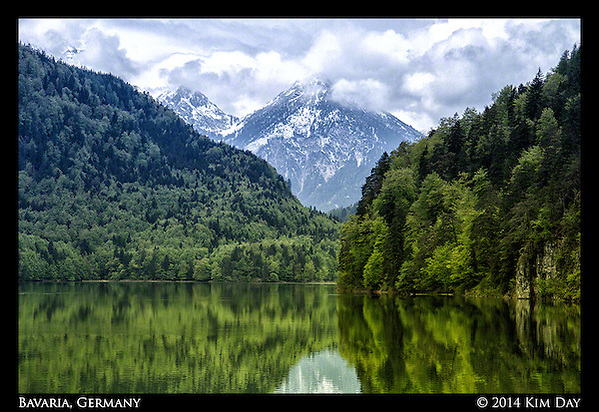 On a recent work trip to Munich, I was lucky to have a free day to explore a little bit of Bavaria. 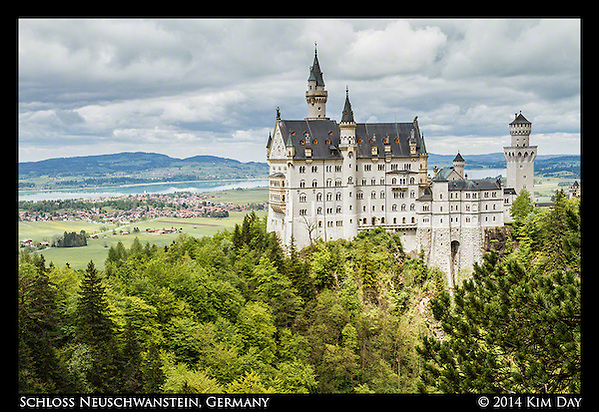 I chose a day trip out to Neuschwanstein Castle, nestled in the foothills of the Alps. It was a moody, chilly day, but with great light for photography. 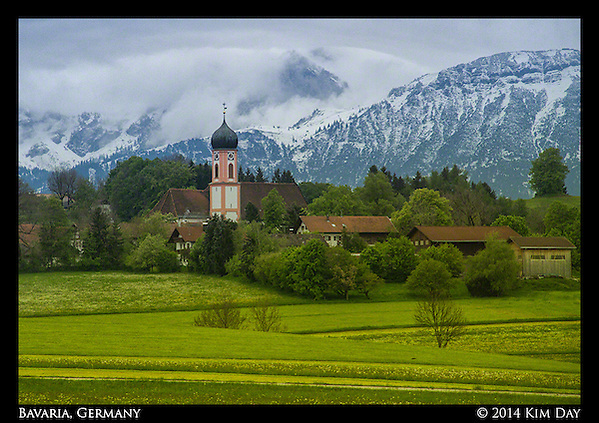 Below, the view of the Bavarian countryside from the train on the way to Füssen. You can see the still snow-capped Alps in the distance. 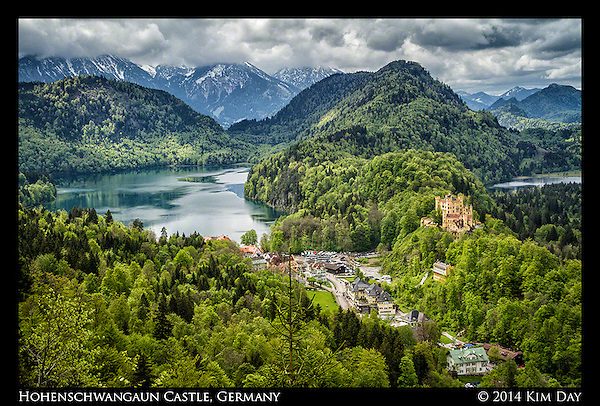 The first view of Neuschwantstein Castle, built by King Ludwig II, from the little town of Hohenschwangau below. It was completed in 1882. 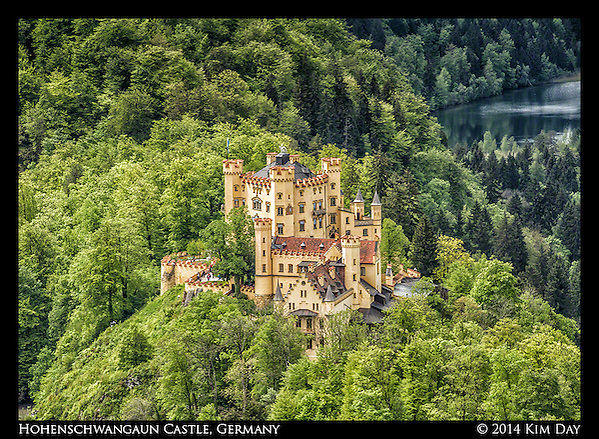 We started our tour of the area with a 15 minutes walk around Hohenschwangau Castle and the little lake of Alpsee. 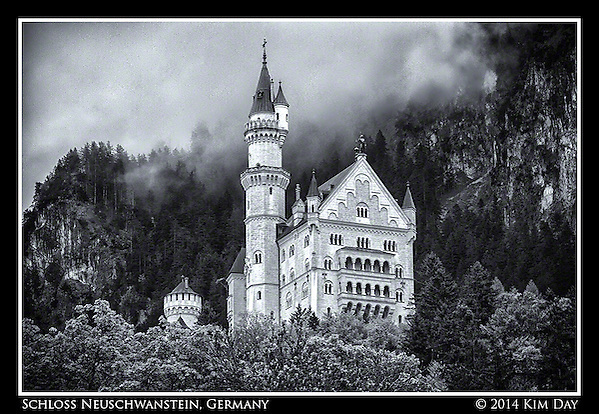 Hoenschwangau was built by King Maximillian and completed in 1837. It served as the family’s summer home where heir to the throne Ludwig II spent a much of his time. Then, we headed to the shuttle pick up for the ride up the side of the mountain to Marienbrücke bridge, with it’s picturesque views of Neuschwanstein Castle. 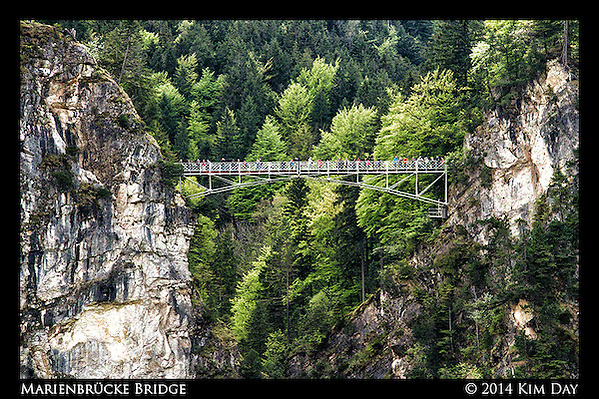 Marienbrücke spans a gorge over a small waterfall, with a breathtaking view to the bottom. The front half of the bridge tends to be wall-to-wall people that you have to shove your way through to get to the middle of the bridge and beyond. But the views of the Castle are worth it. 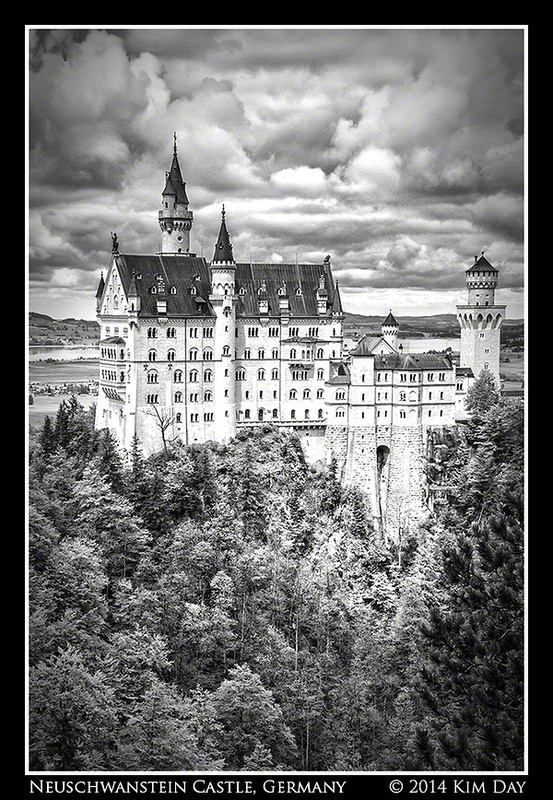 Neuschwanstein, originally named New Hohenschwangau Castle was built on the ruins of two older medieval castles, Vorderhohenschwangau Castle and Hinterhohenschwangau Castle, which were torn down in 1868. From there it is another 15 minutes around a winding path to the Castle itself. 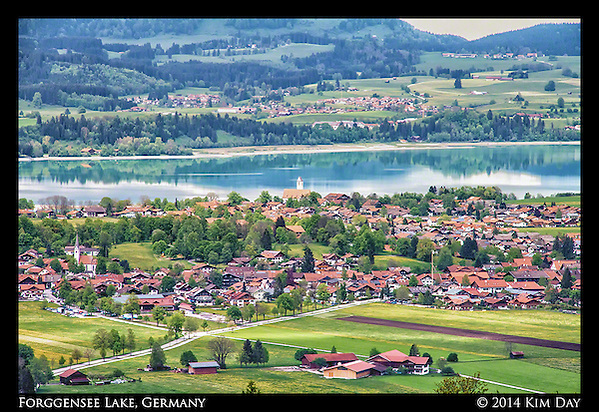 At various points, the path lends itself to stunning ariel views of Hohenschwangau Castle, Alpsee Lake and Forggensee Lake. 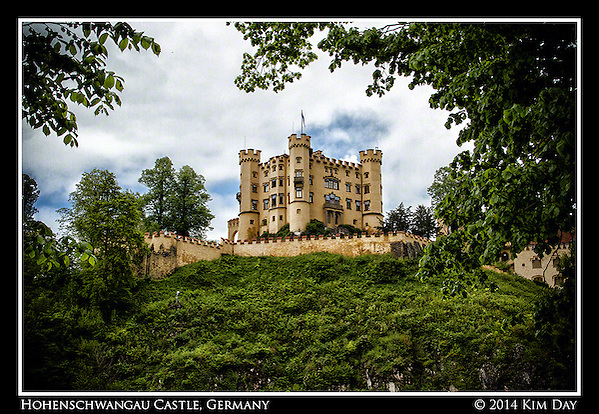 Unfortunately, photos are not allowed in the Castle, but 16 rooms were completed before King Lüdwig was deposed and died (murdered / committed suicide). All of which are open for tours. To get to each of the three floors, you must climb a long and winding spiral staircase, dubbed the “fitness tour”. By the time you are ready to head to third and final floor, a whispered groan and a rumble of “more stairs” can be heard rolling through the room. After the tour, you have several choices as to how to get down the mountain side back to the village — walking down a winding mountainside road, hiking down through the gorge or horse drawn carriage. The walk down takes about 45-60 minutes, depending on the path. This entry was posted on Monday, May 26th, 2014 at 1:51 PM. 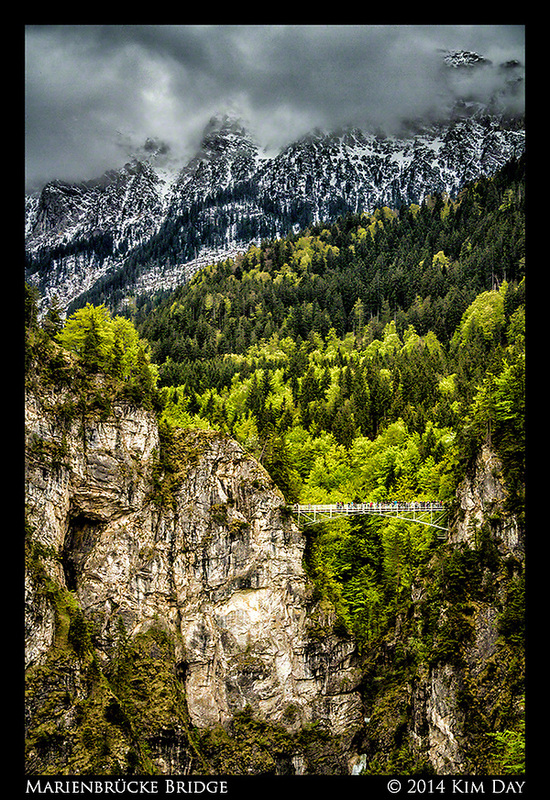 It is filed under Germany and tagged with Alpsee Lake, Bavaria, Forggensee Lake, Germany, Hohenschwangau Castle, Marienbrucke Bridge, Munich, Neuschwanstein Castle. You can follow any responses to this entry through the RSS 2.0 feed. So beautiful! You really do a great job capturing the countryside.